Eberspacher Airtronic D2 Compact and Economical Heater, this is a full kit and supplied under the Eberspacher dealer network meaning that we at Xtremevan are able to offer a full 3 years warranty when fitted by ourselves. 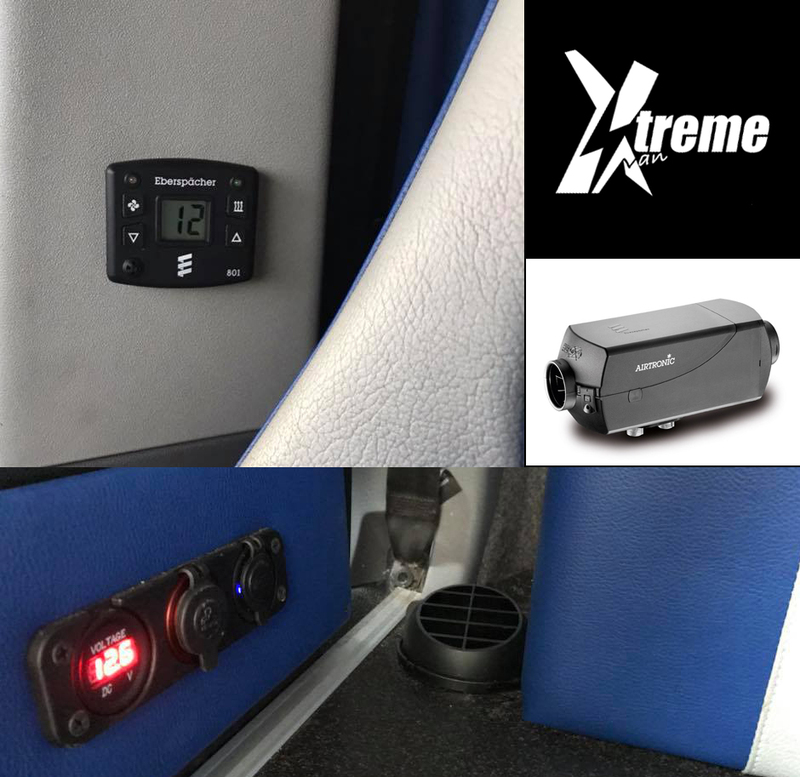 We are classing the external fit kit and the 801 timer as the standard and the internal or the 701 would be a special and carry additional costs along with a slightly longer lead time as the standard kits will be an off the shelf product. 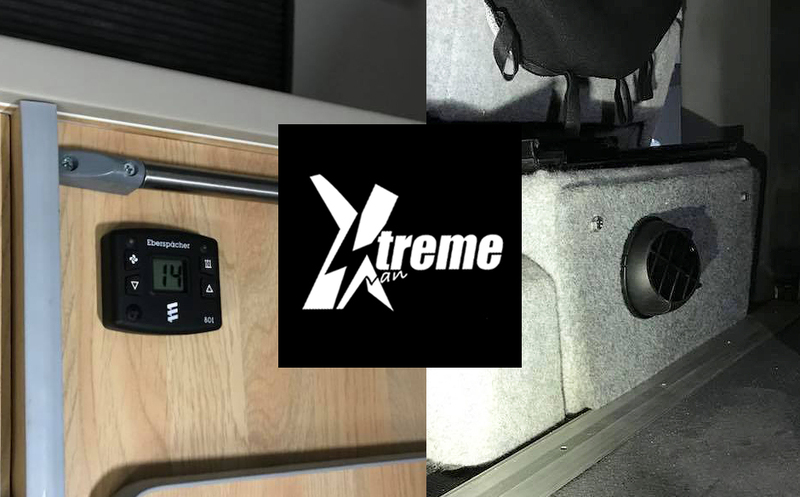 All fitting will take place from our business premises by the staff at Xtremevan as we have undergone intensive training and are approved fitters, this is great as we have the backing of Eberspacher themselves and all the benefits that you would expect with such. Each kit will have a unique seriel number and this will also be linked to all receipts and warranty documents supplied, a full VAT receipt will also be provided which means you will be able to go to any other dealers should you have an issue whilst traveling. 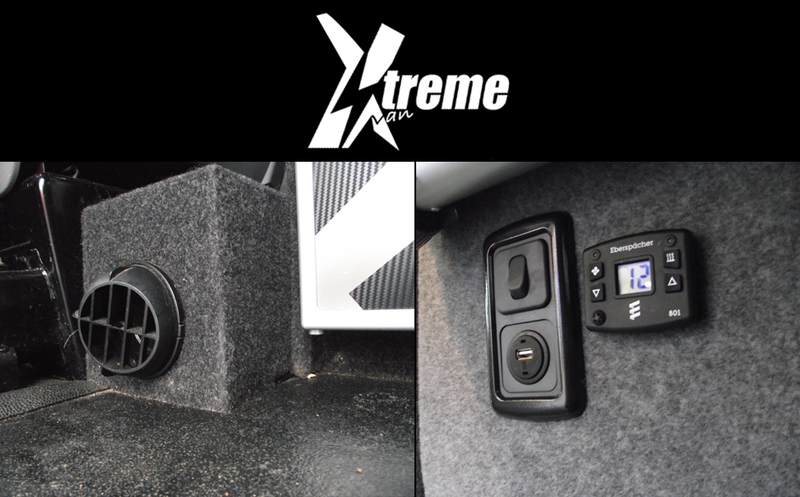 Here's a few examples of our latest Eberspacher heaters fitted. We are now able to offer a fitting service for the above and the listing options have been changed showing the fitted price, should you wish to take advantage of this. All our Eberspächer heating system are supported by a factory trained accredited dealer network, It is strongly recommend that all Eberspächer heating systems are installed and commissioned by an certified Engineer which will insure continued reliability, its optimum efficiency. The 801 is a standard digital thermostate and the 701 is a 7 day timer. 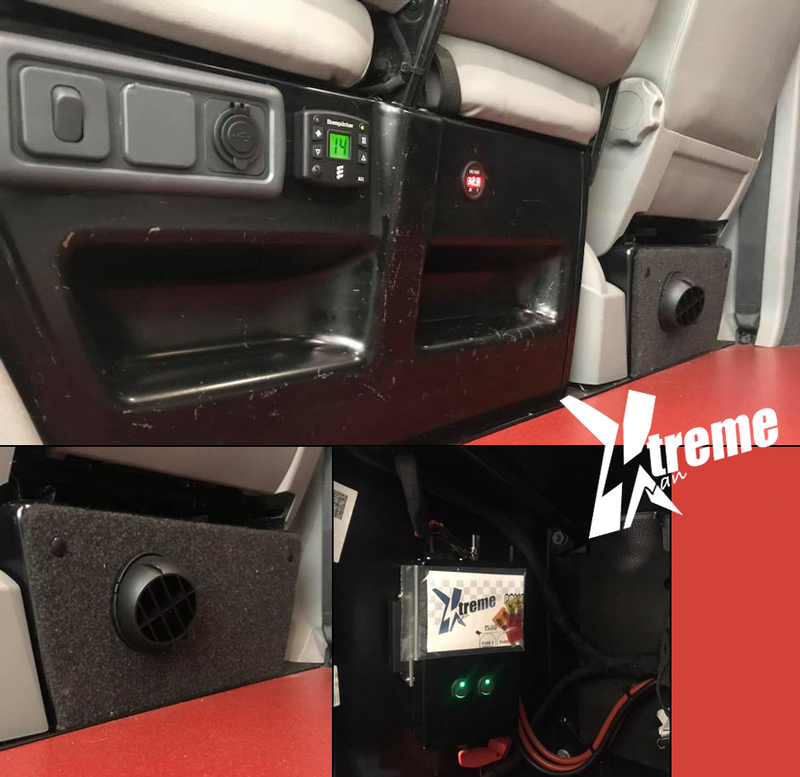 The Heater is mounted inside your van. 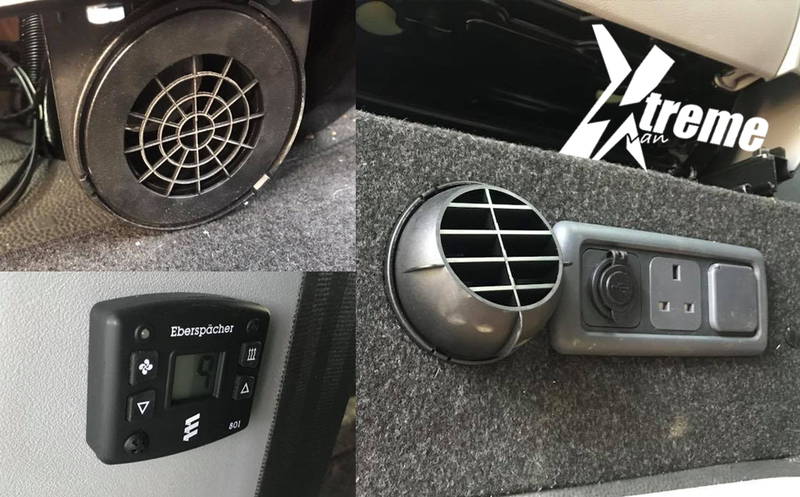 The external package comes with fitting bracket (usually £70.00) and fits straight on to your T5 oem fixing point, fitting the Eberspächer heating system externally reduced noise as the fan is outside your van.